A couple of weeks ago, I published my Beauty Lovers' Christmas Gift Guide. Since I think most girls aged 15 to 150 would find something they like there, I've decided to dedicate this next one to all the gorgeous men in our lives. After all, men are notoriously harder to shop for, right? I've put a mixed bag together here, so hopefully there's some nice ideas that would work for anyone's partner/dad/brother etc. 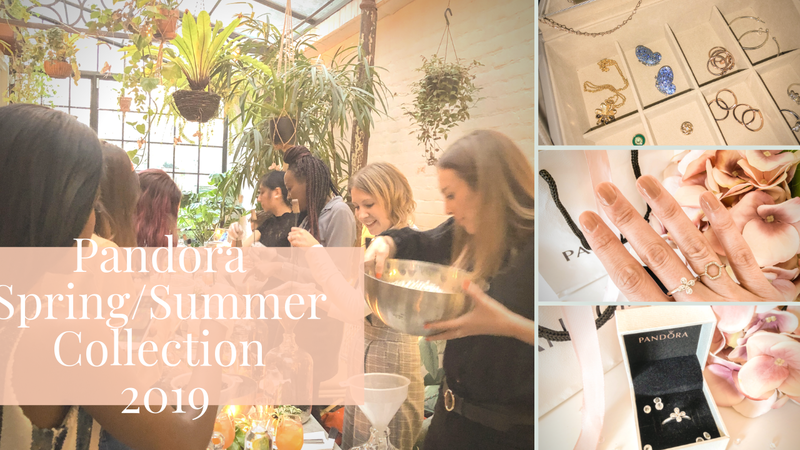 There's also a mix of price points and brands, although I do feel I should apologise for the amount of Hugo Boss stuff I've included - it's a favourite of my husband's, and, apparently, of mine! 1. Howick Jumper - I love buying knitwear for Mike at Christmas, as it's something he doesn't often buy for himself. This style is so classic I think it would suit most guys, and it's available in grey as well if you're not crazy about the blue. A "goes with everything" winner. 2. Sony Headphones - If he commutes to work and hates it, these could help. They're noise cancelling, wireless and have an impressive battery life. I think they're quite stylish too, and reasonably priced compared to some other brands. 3. Clinique For Men Gift Set - This set has a face scrub, soothing aloe shave gel, a face wash and a moisturiser with SPF, all wrapped up in this smart toilet bag. Very handy for travelling. 4. Skate Hut New Era beanie hat - You can't go wrong with a beanie hat. Classic, warm and cosy and definitely a necessity throughout the winter months! I really like the colour of this one, and the flecked detail. 5. Linea Scarf - To go with the hat! 6. Ray Ban Sunglasses - I know I would love to receive sunglasses as a gift, so I'm sure guys would too! Ray Ban is always a surefire people pleaser, whoever you're shopping for. 7. Hugo Boss Kimono Robe - There's something a little bit James Bond about this dressing gown, no?! 8. Hugo Boss Gloves - Real leather gloves always make a nice little luxurious gift at Christmas time. These are wool lined and I like the cuff detail - perfect for keeping his wrists warm. 9. Professor Puzzle Tangram - No, I didn't know what a tangram was either. Apparently it's a brain teaser, where you take all these wooden shapes out of a frame and then attempt to fit them all back in again. I think puzzles make a nice change as a gift, and they can come in handy on Christmas Day when people get bored! 10. Hugo Boss Watch - A slightly swankier gift, yet this is still reasonably priced considering how nice it is. I really love the simplicity of this style and think a lot of guys would love it. 12. Hugo Boss Socks - Always useful, always smart. The perfect stocking filler. Are the men in your life difficult to buy for? What will you be getting them this Christmas? *This post is in collaboration with Skate Hut. All opinions, as always, are my own. Love this gift guide lady - some fab pieces! I always buy Ben Clinique skin care - he loves it! That burgundy hat is super cute too! Very stylish list Kate! We're got the Clinique set for my brother this year. The Hugo Boos holdall is a good idea as well! This year I think I might get hubby a voucher for a trip or meal as he's hard to buy material things for! Oh that hat and scarf are lovely! :) My husbands hair is too big for hats unfortunately haha! Thanks so much for visiting my little blog :). Men are SO much harder to shop for! These are great ideas, thank you!! I love that jumper! My boyfriend would look amazing in that color! Such great gift ideas, i love the scarf and watch! Yessss! I definitely am getting a scarf for my husband this year because he never owned one before. 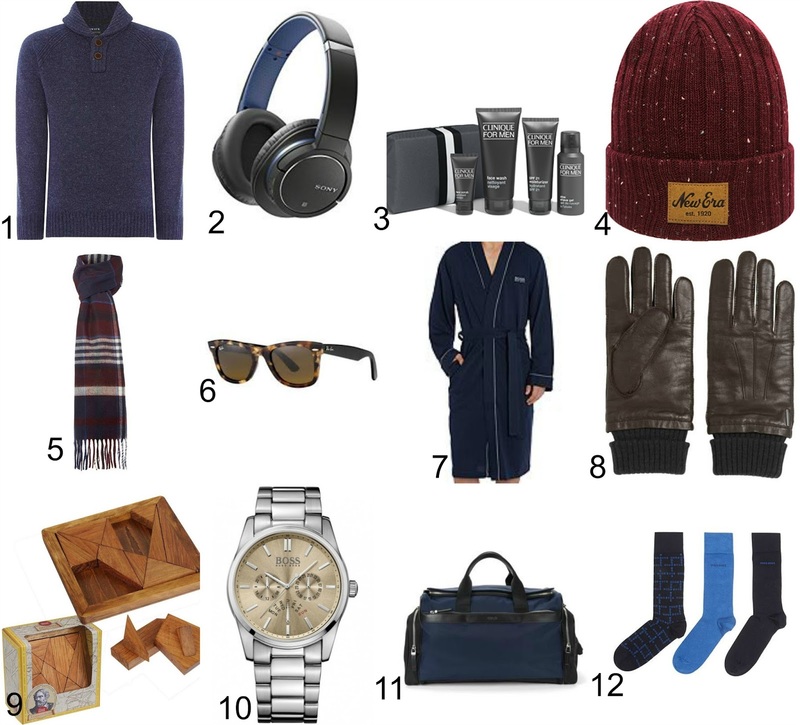 A fabulous gift guide for the men, Kate! I'm sure many guys would be pleased to find a BOSS watch under the tree, or perhaps the kimono robe. The Clinique set is a great suggestion too! These are some great ideas! That watch is exactly what I would give my husband. Classic, luxe and yet perfectly masculine!